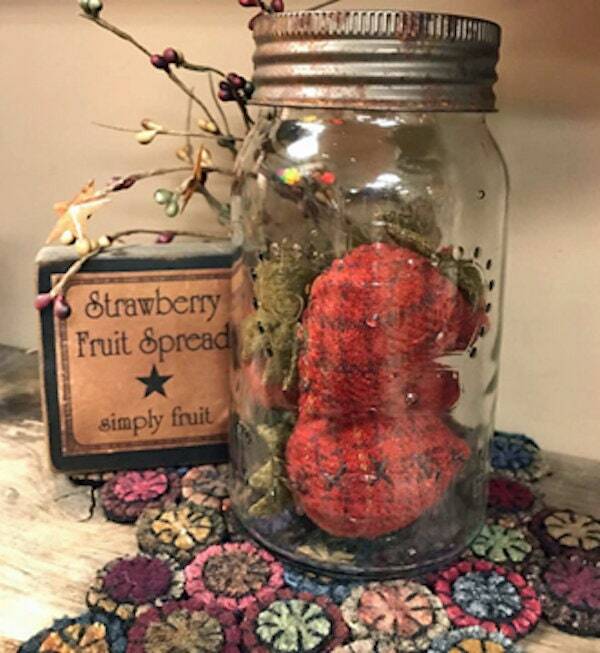 Wool craft pattern "A Wooly Strawberry" by Heartfelt Wool Expressions. 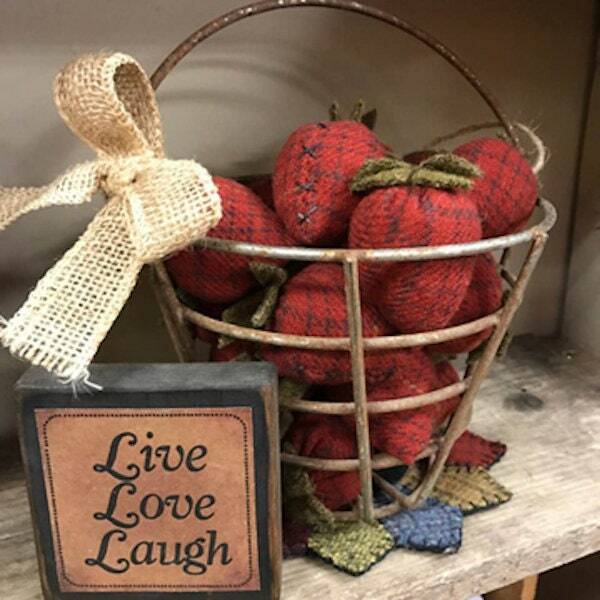 Display in a basket, bottle, wreath, hang on your year-round trees ..... how would you display them? 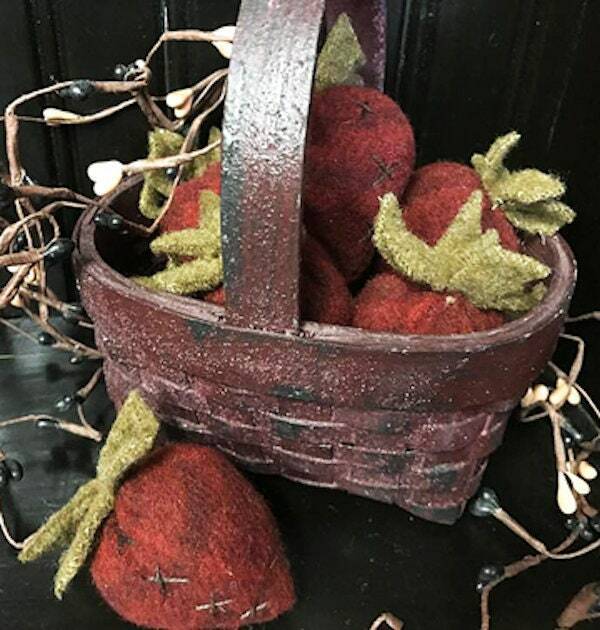 The pattern contains full size template and instructions for 6 berries. The measurement of a finished berry is approx 3" X 2" so they can fill a berry box quickly.